Last year it was the 6-way meeting, but District 5340 Area 4 has grown by one club to include the Rotary E-club of San Diego, whose members joined those from Rotary Clubs of Del Mar, Del Mar Solana Beach, Encinitas, Encinitas Coastal, Rancho Santa Fe and Solana Beach Eco, at the Hilton San Diego Del Mar. 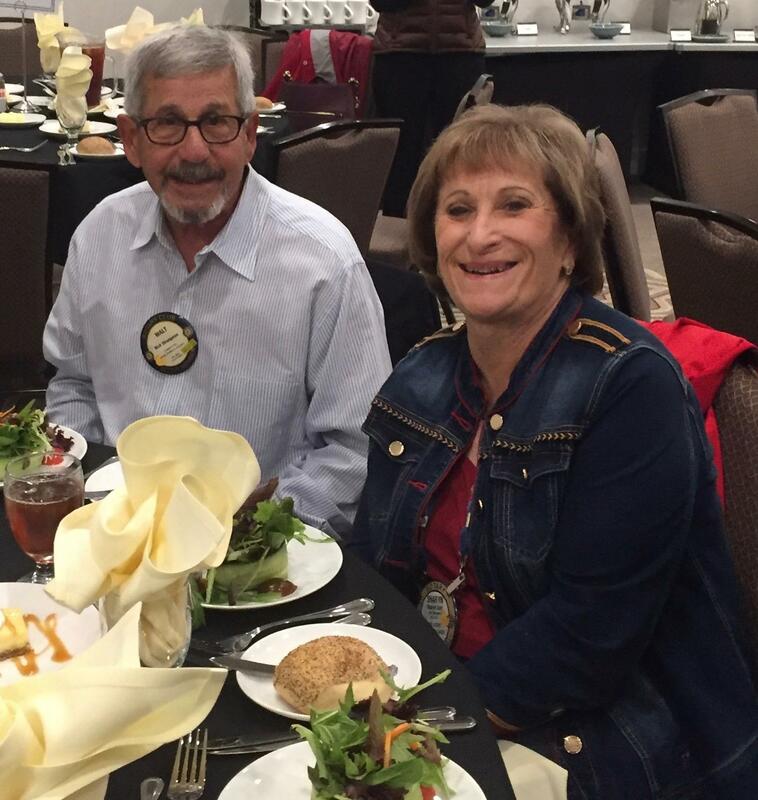 Over 100 Rotarians (including Current District Governor Mel Gallegos, District Governor Elect Steve Weitzen, Assistant DGs Susie Callahan and Ole Prahm) attended to hear club presidents showcase their club’s activities. Our own Don Fipps acted as MC. Rotary Club of Del Mar Solana Beach: 30 members, meets Fridays at 7 AM. President Ken Barrett told about their Bocce Ball tournament that raised funds to support Just in Time for foster youth and Solutions for Change that helps homeless families re-integrate into society. 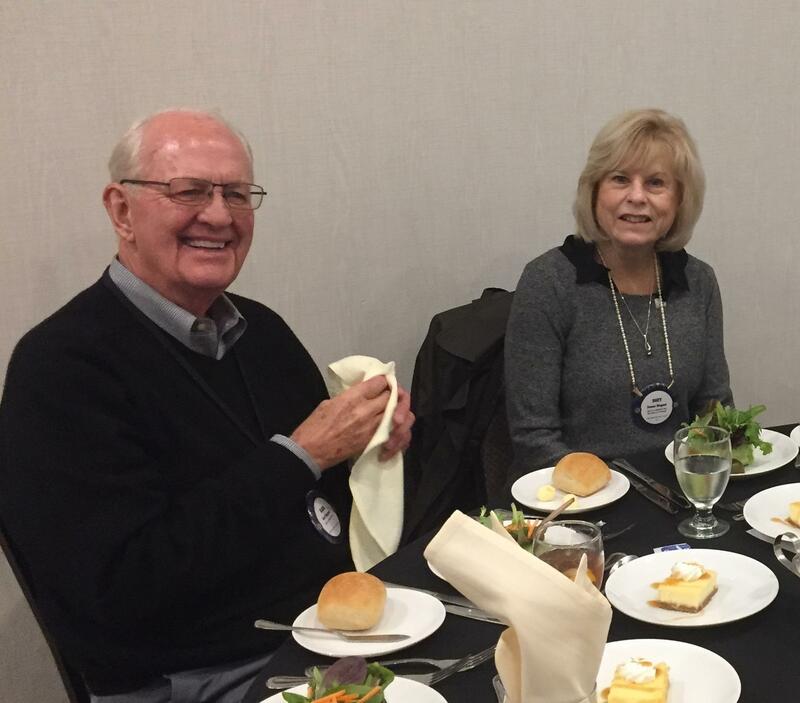 Rotary Club of Encinitas: 95 members, meets Wednesdays at noon. President Deb Vaughn-Cleff said that funds raised at their annual Food and Wine Festival (June 2 this year) go to support over 14 organizations, including their Home Team that provides help with household projects for seniors. 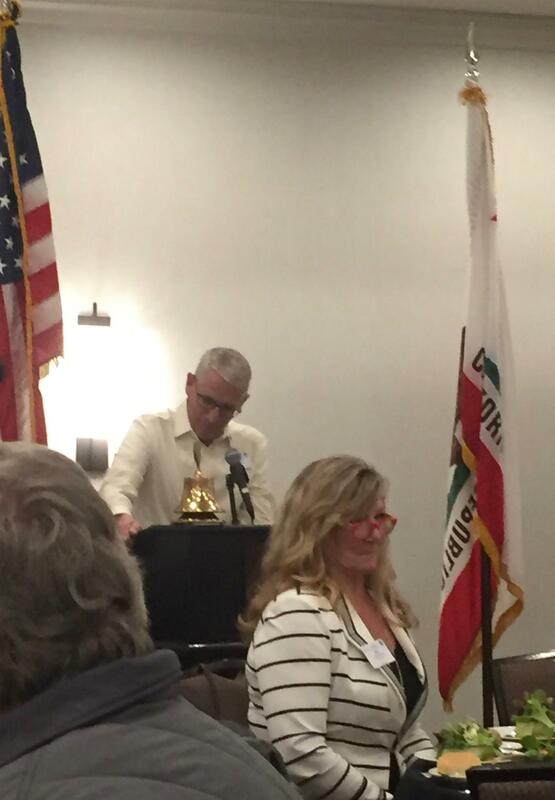 Rotary Club of Encinitas Coastal: 44 members, meets Tuesdays at 12:15, President James Owen. Their fundraiser, the Golf Ball Drop, supports the Navy SEAL Foundation and other organizations. Rotary Club of Rancho Santa Fe: 80 members, meets Wednesdays at noon. President Michael Taylor noted that their Taste of Rancho Santa Fe event has an attendance of nearly 800 to raise funds that support over 10 charities and organizations, including Spay-Neuter Project (SNAP), ConnectMed, and Future Legends. Rotary Club of Solana Beach Eco: 18 members, meets Tuesdays at 6 PM, President Dave Peiser. This club focuses on projects that promote environmental responsibility and sustainability, including Latrines for Life in Cambodia, Project Amigo in Mexico, and Shelter Box. When they’re not meeting at LePort School in Solana Beach, club members take frequent field trips to environmentally sustainable projects. 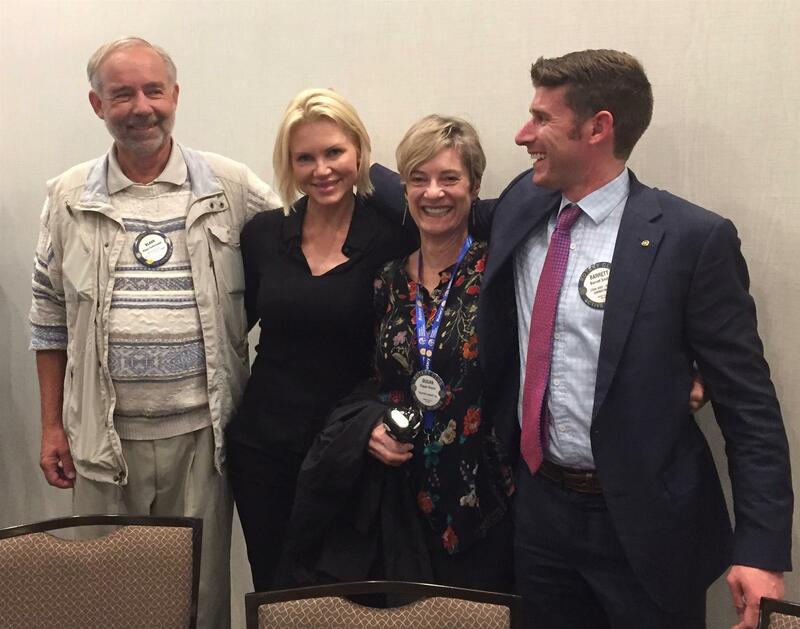 Rotary E-Club of San Diego Global was founded in 2015 and has 15 members from all over the world, including San Diego. They meet both electronically and face-to-face. Treasurer Janet Mikelson summarized the e-clubs activities, including their partnership on a Global Grant Train for Change that will train teachers in Honduras, and equip these teachers with skills to train new teachers to decrease the high school dropout rate. The featured speaker this year is Rotary Club of Rancho Santa Fe member, and nationally known singer and performer Amy Scruggs. She spoke of the many times her “life GPS” had to “recalculate”. 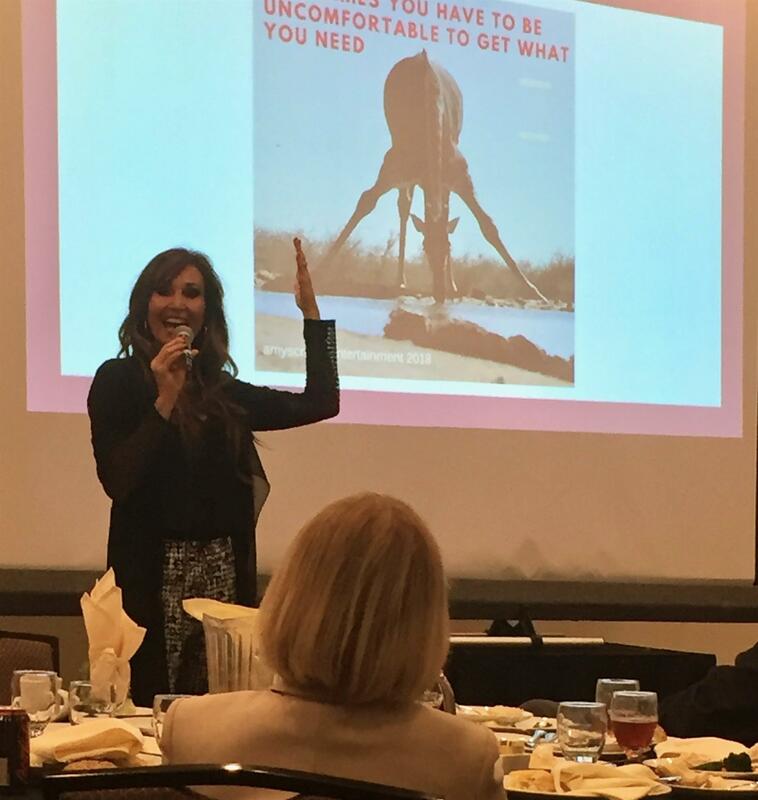 From becoming a mother at a young age, to multiple job changes that eventually led her to become an established entertainer who opened for multiple country music stars, Amy related the importance of being “Contagious, Not Competitive”.